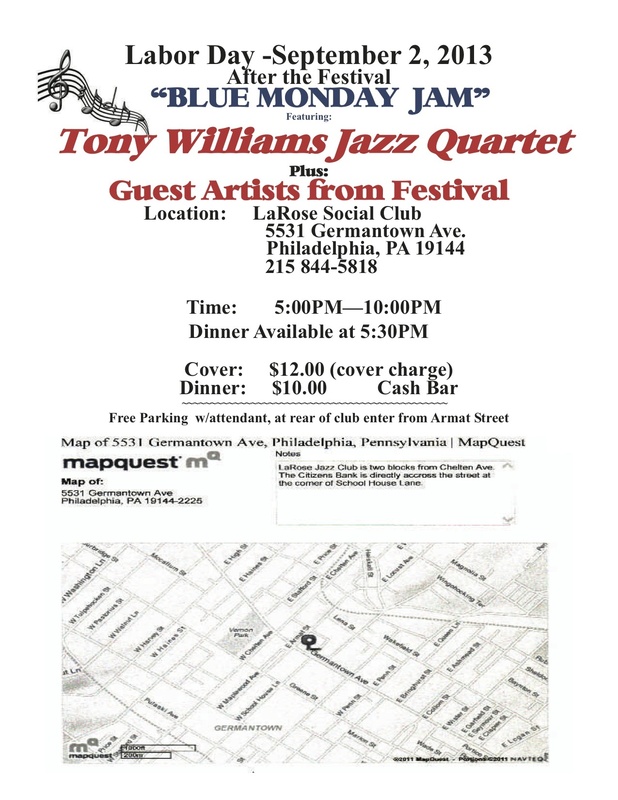 The 2013 Tony Williams Jazz Festival pages are being updated. Hold Labor Day Weekend. Hold the dates, Friday August 30-Monday September 2, 2013. Page being updated. Menu Bar is active. holding 501(c)(3) organizational status from the US Federal Government (IRS).